While potentially weakening the nation with its suggestion that our politicians are human beings with both faults and feelings, NBC is also hoping to at last unite warring Muslims and Jews with a sitcom that explores how, oy, they’re both totally crazy. 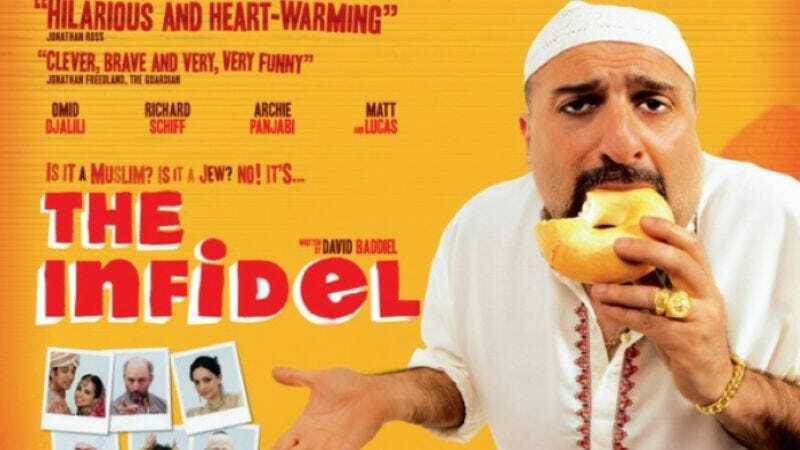 Omid Djalili is attached to reprise the lead role in an adaptation of the 2009 British comedy The Infidel, which stars Djalili as a Muslim man who discovers that he was actually adopted from Jewish parents. He then embarks upon a farcical, soul-searching identity crisis that will here be doled out weekly, given nuance and sensitivity by Bruce Almighty and Click writer Mark O’Keefe, and air on the same network that previously explored cultural divides with Outsourced. So with this, ABC’s Will and Jada Pinkett Smith-produced comedy about Dominican-Americans, and CBS’ healing of Mexican-American relations through Rob Schneider, we ought to have the whole world peace thing sewed up by this time next year.